With the whole of Christendom we share faith in God the Father, the Son, and the Holy Spirit. We believe and confess that God has revealed Himself once and for all in His Son Jesus Christ; that our Lord has redeemed us with the whole of humanity by His death and His resurrection; and that there is no salvation apart from Him. (See Note: 1) We believe that He is present with us in the Word and the Sacrament; that He directs and unites us through His Spirit and thus forms us into a Church. We hear Him summoning us to follow Him, and pray Him to use us in His service. He joins us together mutually, so that knowing ourselves to be members of His body we become willing to serve each other. In the light of divine grace, we recognize ourselves to be a Church of sinners. We require forgiveness daily, and live only through the mercy of God in Christ Jesus our Lord. He redeems us from our isolation and unites us into a living Church of Jesus Christ. The belief of the Church is effected and preserved through the testimony of Jesus Christ and through the work of the Holy Spirit. This testimony calls each individual personally, and leads each one to the recognition of sin and to the acceptance of the redemption achieved by Christ. In fellowship with Him the love of Christ becomes more and more the power of the new life, power which penetrates and shapes the entire person. As God’s Spirit so effects living belief in the hearts of individuals, He grants them the privilege to share in the fruits of Christ’s salvation and membership in His body. The Triune God as revealed in the Holy Scripture of the Old and New Testaments is the only source of our life and salvation; and this Scripture is the sole standard of the doctrine and faith of the Unitas Fratrum and therefore shapes our life. The Unitas Fratrum recognizes the Word of the Cross as the center of Holy Scripture and of all preaching of the Gospel, and it sees its primary mission, and its reason for being, to consist in bearing witness to this joyful message. We ask our Lord for power never to stray from this. The Unitas Fratrum takes part in the continual search for sound doctrine. In interpreting Scripture and in the communication of doctrine in the Church, we look to two millennia of ecumenical Christian tradition and the wisdom of our Moravian forebears in the faith to guide us as we pray for fuller understanding and ever clearer proclamation of the Gospel of Jesus Christ. But just as the Holy Scripture does not contain any doctrinal system, so the Unitas Fratrum also has not developed any of its own because it knows that the mystery of Jesus Christ, which is attested to in the Bible, cannot be comprehended completely by any human mind or expressed completely in any human statement. Also it is true that through the Holy Spirit the recognition of God’s will for salvation in the Bible is revealed completely and clearly. Lord and Shepherd, He is leading His flock toward such unity. 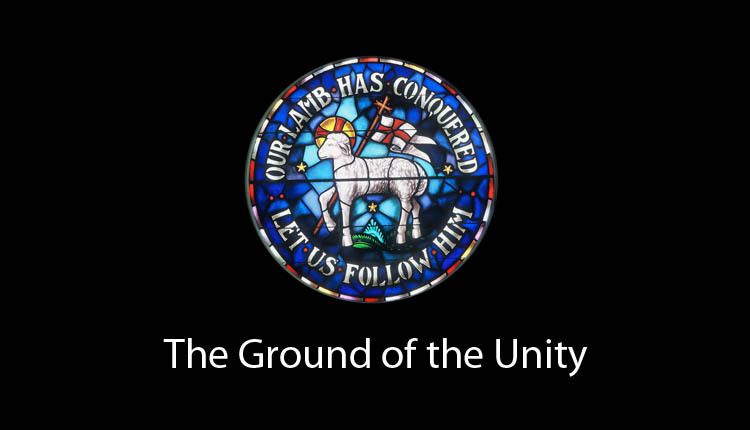 The Unitas Fratrum espoused such unity when it took over the name of the Old Bohemian Brethren’s Church, “Unitas Fratrum” (Unity of Brethren). Nor can we ever forget the powerful unifying experience granted by the crucified and risen Lord to our ancestors in Herrnhut on the occasion of the Holy Communion of August 13, 1727, in Bethelsdorf. We confess our share in the guilt which is manifest in the severed and divided state of Christendom. By means of such divisions we ourselves hinder the message and power of the Gospel. We recognize the danger of self-righteousness and judging others without love. Since we together with all Christendom are pilgrims on the way to meet our coming Lord, we welcome every step that brings us nearer the goal of unity in Him. He himself invites us to communion in His supper. Through it He leads the Church toward that union which He has promised. By means of His presence in the Holy Communion He makes our unity in Him evident and certain even today. The Church of Jesus Christ, despite all the distinctions between male and female, Jew and non-Jew, white and colored, poor and rich, is one in its Lord. The Unitas Fratrum recognizes no distinction between those who are one in the Lord Jesus Christ. We are called to testify that God in Jesus Christ brings His people out of “every race, kindred and tongue” into one body, pardons sinners beneath the cross and brings them together. We oppose any discrimination in our midst because of race or standing, and we regard it as a commandment of the Lord to bear public witness to this and to demonstrate by word and deed that we are brothers and sisters in Christ. Our Lord Jesus entered into this world’s misery to bear it and to overcome it. We seek to follow Him in serving His brothers and sisters. Like the love of Jesus, this service knows no bounds. Therefore we pray the Lord ever anew to point out to us the way to reach our neighbors, opening our heart and hand to them in their need. message of the love of God, striving to promote the peace of the world and seeking to attain what is best for all people. For the sake of this world, the Unitas Fratrum hopes for and looks to the day when the victory of Christ will be manifest over sin and death and the new world will appear. Jesus Christ is the one Lord and Head of His body, the Church. Because of this, the Church owes no allegiance to any authority whatsoever which opposes His dominion. The Unitas Fratrum treasures in its history the vital experience of the Headship of Christ of September 16 and November 13, 1741. The Unitas Fratrum recognizes that it is called into being and has been sustained hitherto only by the incomprehensible grace of God. Thanksgiving and praise for this grace remain the keynote of its life and ministry.